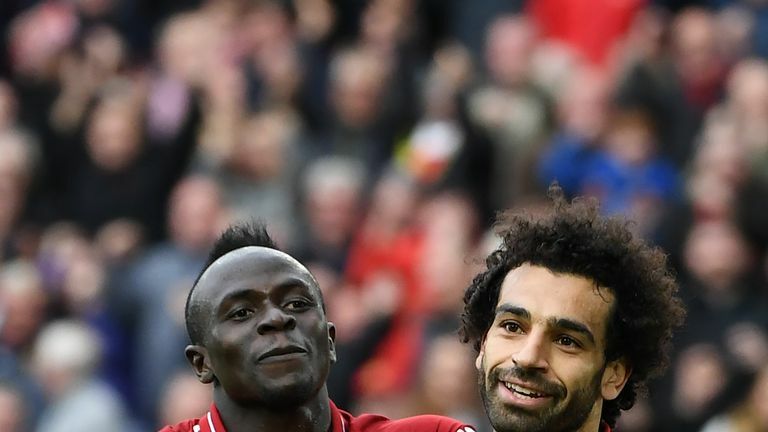 Sky Sports' Jamie Carragher would choose Sadio Mane over Mohamed Salah for The Run In - but which winger would you keep? 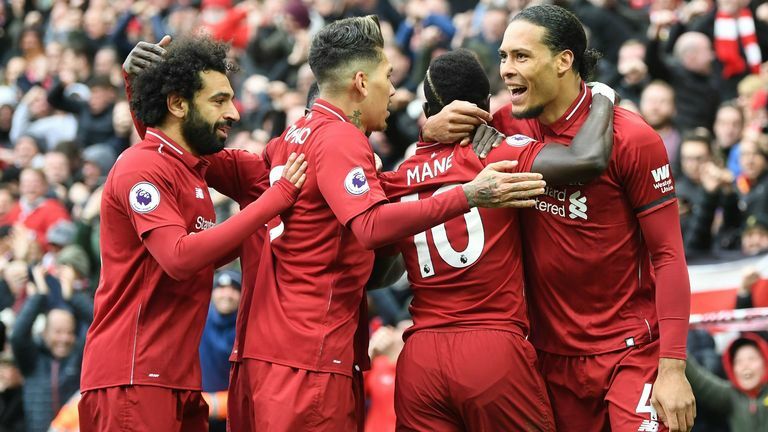 Liverpool maintained their title tilt with a dramatic 2-0 win over Chelsea on Sunday, with Mane breaking the deadlock early in the second half and Salah sealing victory with a long-range stunner two minutes later. Speaking on Monday Night Football, Carragher said: "It's not just the goals Mane is scoring, it's the importance of the goals...You go through Liverpool's last 11 games and Mane gets the first goal in the top four games. Fellow pundit Gary Neville asked whether he would lose Salah or Mane for The Run In. After a moment's thought, Carragher replied, "Salah". "They've got the same amount of goals and I'm a massive fan of Mane. People talk about Jurgen Klopp and the signing of Salah, which has been unbelievable, and [Virgil] van Dijk, but Mane was the one that got Liverpool back up there. "He [Mane] was Klopp's first big signing and he was the one that got Liverpool back into the top four, the next season was the Champions League final and this season is challenging for the title." Jamie Carragher was asked who he would choose to be without for the rest of The Run In - Sadio Mane or Mohamed Salah. But who did he choose? But what do the stats say and which winger would you keep? The chart below shows each winger's five-game average for Power Ranking points this season and reveals how Salah's form ascended steadily between October and New Year before going into free fall until mid-March. 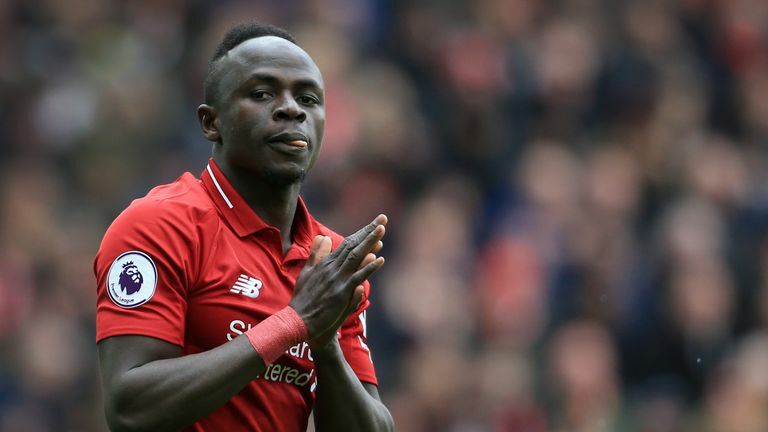 Watch a selection of Sadio Mane's best goals for Liverpool in the Premier League. In contrast, Mane hit season-low form during the festive period but has now maintained campaign-high levels since the start of February - crucially, maintaining Liverpool's title charge during Salah's goal drought. Salah currently holds runner-up spot in the Power Rankings season chart - behind only Eden Hazard. The Egyptian is some 6,000 points clear of fourth-placed Mane, primarily from registering seven assists this term - six more than his team-mate. Last season's Golden Boot winner also edges his counterpart in the Premier League scoring chart with 19 goals, compared with Mane's 18. But, per 90 minutes, the two are neck-and-neck with 0.59 per game. Indeed, the interactive graphic below also reveals Mane's superior contribution defensively - recording four times as many tackles, three times as many interceptions and twice the number of clearances. So, if faced with choosing one or the other, which winger would you keep for The Run In? If reading on skysports.com, comment at the bottom of this article to get involved in the debate, but please adhere to our House Rules. If you wish to report any comment, simply click on the down arrow next to the offending comment and click 'Report'. In the form chart, Tottenham's Lucas Moura soared into top spot after stepping up to the plate in the absence of Harry Kane - netting a hat-trick in 4-0 win over Huddersfield. Hazard slipped from the summit into No 2 spot after missing two big chances in the 2-0 defeat at Anfield, with Salah (No 3) climbing 33 places after his spectacular effort sealed victory for the Reds. Leicester's James Maddison (No 4) and Chelsea's Ruben Loftus-Cheek (No 8) suffered slips after weekend defeats, while Manchester City's Kevin De Bruyne (No 5) was back among the top performers after a 3-1 win at Crystal Palace. Burnley striker Chris Wood scored a match-winning brace against fellow relegation battlers Cardiff, while Ryan Babel (No 9) assisted Tom Cairney's opener and scored for Championship-bound Fulham in a 2-0 victory against Everton.